A flowing sequence of asana (postures) synchronising movement with breath. This class will build strength, and flexibility as well as provide opportunity to explore different pranayama (breathing techniques). Teachers will provide different options to challenge the more experienced yogi whilst nurturing and guiding those newer to the mat. 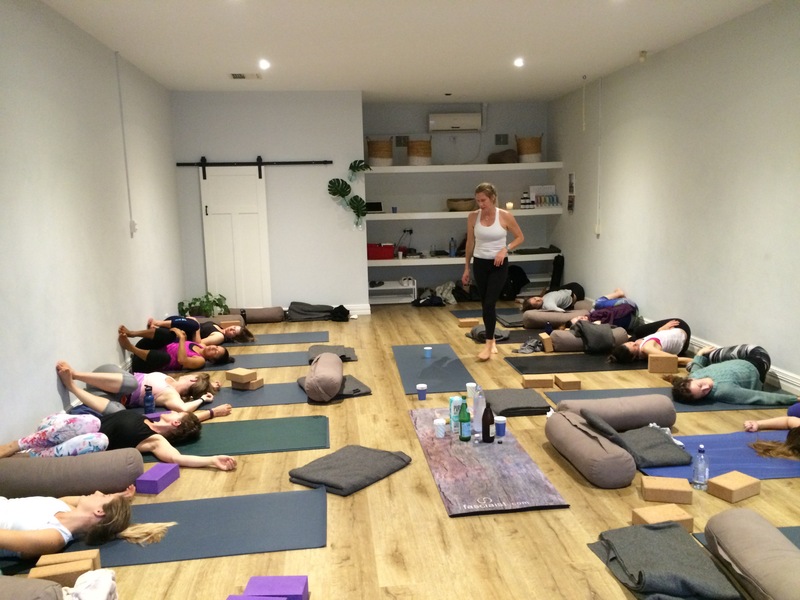 The most popular of our yoga classes, it is recommended that you have some yoga experience before attending vinyasa as it is a challenging and dynamic class however beginners will be welcomed. 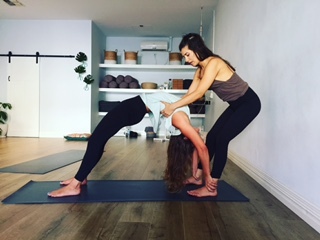 Wether you are new to yoga or have had some experience, flow align is a great way to participate in safe movement, seeking to maintain strength, stability and flexibility. Yoga is great for reducing stiffness of the body and increasing energy levels. In these classes the teacher will guide students through an all level practice, poses can be modified and props such as blocks and bolsters are used depending on the individuals ability or restrictions. This class is suitable for all. Yin yoga targets the deeper, denser tissues of the body such as ligaments, tendons, bones and joints. Postures are held for longer periods of time, generally 3 to 5 minuets, allowing the fascia, or connective tissue networks of the body to release. A wonderful compliment to a more dynamic or ‘yang’ practice but most of all a Yin class feels amazing for both your body and your soul. Flow into Yin is an all level class at Nest Yoga Wembley. Students will be lead through a half hour vinyasa flow where movement is linked with breath, working on developing strength and balance and then for the benefit of the body’s soft tissue networks students will settle into longer help yin poses for the remainder of the class. This class offers a little bit of everything and will leave you feeling refreshed and restored. New to yoga, returning after a long absence, or just want to refresh yourself on alignment and technique? Beginners yoga classes at Nest Yoga Wembley are taught as both a 5 week beginners course and between courses as drop in classes. Participants will learn foundation yoga postures with a focus on alignment for a safe practice. Classes are designed to enable each student to progress at their own pace and prepare them to move forward with a safe continued yoga practice. The beginners course is taught workshop style so students can ask questions and explore each pose in depth with the aim that students complete the course feeling comfortable to attend any of the classes at Nest Yoga Wembley. Up coming Beginners Course dates for 2019: January 22nd- February 19th, and 19th March to 16th April. Bookings essential as places limited. Bookings via email. If the course is not full drop in’s will be considered however please contact the studio first to avoid disappointment. 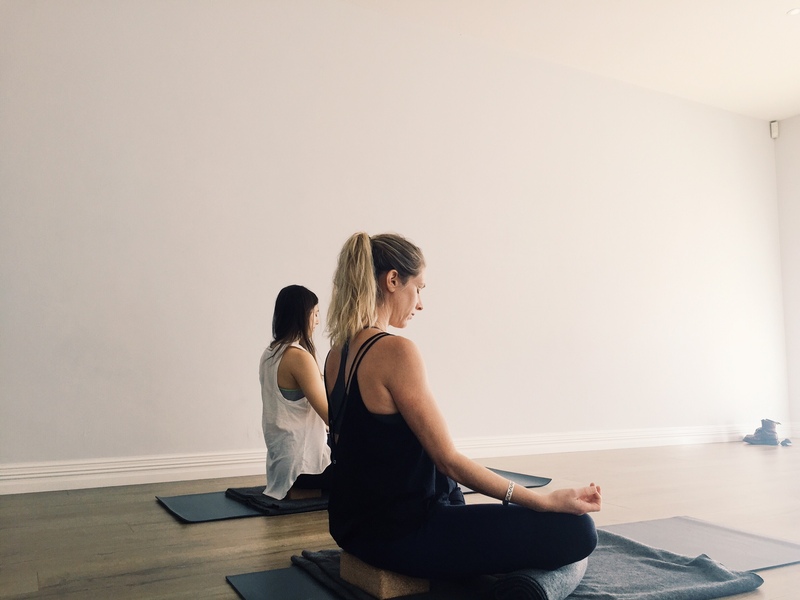 The last Sunday of every month at 5pm Nest Yoga will be transformed into a candle lit sanctuary where students are welcomed to the mat with a short gentle stretch focusing on hip openers so they are able to sit comfortably. Once comfortable, guided meditations will be offered with pranayama (breathing techniques) woven in. The class will finish with a Yoga Nidra or sleep yoga to ensure students reach total relaxation. This class is about nurturing the self, developing a mindfulness practice, and learning techniques that can be taken out of the studio and into every day life. Bookings are highly recommended as spaces are limited. Suitable for all. Mums (or dads), this one if for you. Just because you are looking after a baby doesn’t mean you don’t want to do something for yourself. Come and do some yoga while your baby plays near by in the studio. Maybe your baby lies on a mat next to you, maybe they crawl or wonder around the safe studio space, exploring the space and toys provided. Your baby needs a feed or change, or just some attention? not a problem, hop off your mat when you need to. This is a very casual class where anything goes and the teacher will help as needed! An open level class suitable for all (minimum 6 weeks post delivery) baby from 6 weeks to when they are very mobile, this is of course at different ages for each baby so please consider if your baby will be able to stay close to your mat or not. Max 9 participants and their babies. Classes run school terms only, except summer vacation when classes will continue as usual. Pre natal yoga is suitable for beginners all the way to experienced yogi’s from 12 weeks gestation up until the birth of your baby. 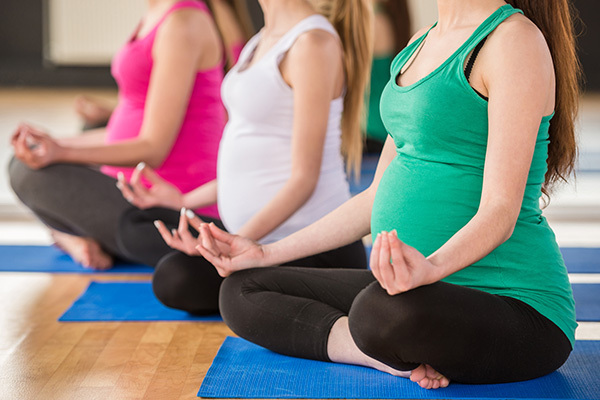 Pre natal yoga classes in Wembley help maintain a connection with your body during this period of change, can ease pregnancy related discomforts, aid relaxation, provide appropriate movement and improves sleep. Classes are taught by specially trained Pre Natal yoga teachers. Pre Natal yoga is taught in 5 week series, women are able to book in at any time and the cost will be modified. Due to the popularity of the series in 2018 we have decided to run two class times. Both classes will be offered on Saturday mornings with the option of an 8.45-9.45am series or a 10-11am series. Dates for 2019 as follows; January 12th – Feb 9th (10am series is fully booked, spaces remain available for the 8.45am class), Feb 23th to March 23th, April 6th 30th to May 4th, May 18th to June 15th. Cost: $100 per 5 week series. Please contact the studio for more information or to book. At Nest we offer occasional workshops, retreats, and events. Nest Yoga Retreat: Nest offers at least one retreat per year. In 2018 we went to Gilgarra Homestead in Margaret River for a sell out weekend of yoga, meditation, food, and friends. Retreat dates for 2019 will be released soon so please contact the studio if you would like to find out more. Private Yoga sessions are offered at Nest Yoga by a variety of teachers. This individualised approach to yoga will enable the teacher to tailor sessions to suit specific wants, needs, and concerns of the students and work towards identified goals within a set timeframe. Private yoga is perfect for those wanting one on one attention, people with health concerns/ restrictions, those with disabilities, mental health issues (including social anxiety), and even students wanting to develop some mat confidence before joining a main stream class. Sessions are $100 per hour and depending on the teacher may be health fund rebatable. Nest teachers are available to come to your workplace for one off and blocks of corporate yoga. Yoga is a great way to build team moral, promote staff wellness, manage stress, and to create a culture of professional wellness in the workplace. At Nest we believe that continued education and peer support for yoga teachers is fundamental for teacher development, inspiration, and the provision of safe, creative, and inspiring classes. Although we do not run our own teacher trainings we do host qualified and registered trainers to run courses, events, and workshops at various times throughout the year. In addition to this we host events for local yoga teachers to come together and share their accumulated knowledge and experiences providing much needed peer support. For more information about up coming events and training, or to enquire about hiring Nest for your own event please contact the studio. Fees to hire the studio are $30 for your first hour and $20 for every subsequent hour. Get access to a variety of yoga classes in Wembley today.